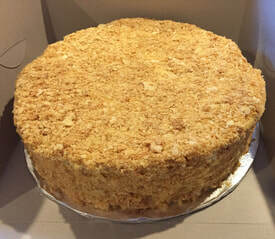 Order a torte for the holidays, and help our Ukrainian School’s fundraising efforts! The tortes listed below will be available BY PRE-ORDER ONLY. please bring a cooler and icepacks to take your torte home. The tortes will come in cardboard cake boxes on cake circles. *All proceeds benefit the school! Thank you for your generosity! You may also pay by check at pickup. ​Checks should be made out to "Ukrainian School". 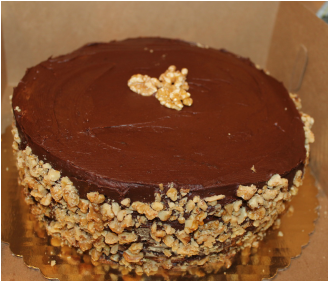 Walnut Torte with Coffee Filling and Mocha Frosting: Four walnut-vanilla layers with a coffee filling and mocha frosting (by Veronica Chornodolsky); 10 inch; 0 available; $45. Availability: Bazaar Day (12/15).